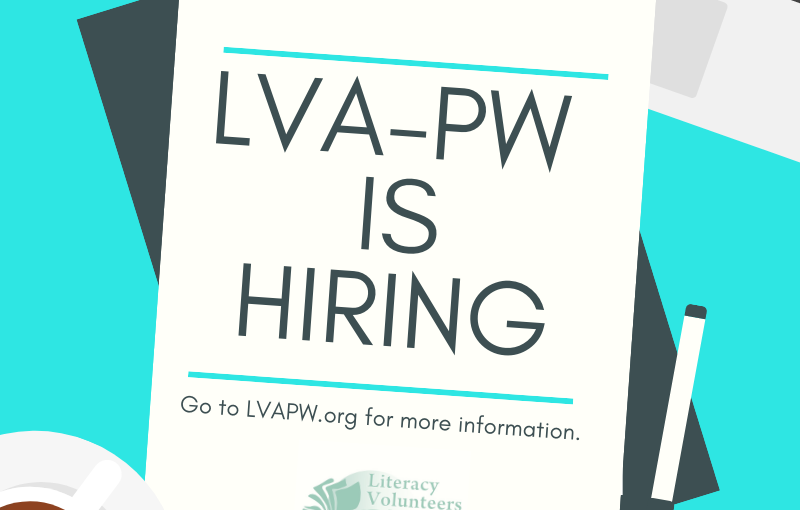 Literacy Volunteers of America – Prince William, Inc., an award-winning adult literacy non-profit, is seeking a full-time Program Coordinator to help us fulfill our mission of teaching adults critical literacy, language, and life skills. We serve over 700 adults each year from over 80 countries with the support of over 220 volunteer tutors and are looking for a dynamic, energetic adult educator and administrator to join our team. Coordinate all aspects of the student experience from the initial interview and assessment process to progress reports, re-assessment, counseling, retention and ensuring an overall successful education experience. Administer and assess adult basic education (ABE) and English as a Second Language (ESL) students and provide test diagnostics and program description. Post-assess students to monitor Education Function Levels (EFL’s), educational gains, individual learning goals and program effectiveness. Initial matching of students to appropriate tutors and/or groups as well as ongoing support and management of student-tutor matches. Teach adult literacy classes when needed. Must be comfortable with explaining program classes, discussing student goals and making recommendations to adult learners; requires exceptional listening and customer service skills. Responsible for managing over 700 student and 220 tutor files per year with the help of the Program Administrator. Serve on Tutor Training team; provides 10-hour Tutor Training Workshops held six times per year on Saturdays. Work comfortably with a multicultural student, tutor, staff and community population. Provide tutor in-service workshops 2-3x per year. • Bachelor’s Degree required/Adult education program experience strongly preferred. attention to detail and follow-through ability. • Excellent written and verbal communication skills and outstanding interpersonal skills. • TABE (Test for Adult Basic Education) and BEST (Basic English Skills Test) certified. • Ability to work independently and as part of a team in a multicultural environment. This is a full-time position, plus 2 weeks paid vacation. Closing date: April 15, 2019.